Today, the U.S. Navy accepts the helicopter and its capabilities as integral and essential parts of Naval Aviation. This has not always been the case. The early helicopter pioneers not only had to struggle with the formidable technical challenges and difficulties of an enormously dynamically complex machine, but they had to endure the criticism, contempt, and outright antagonism of their superiors in the naval hierarchy. Our mission is to gather, perserve and display any forms of naval rotary wing community, whether it is articles, memorabila, media, etc. The Squadron History is where you will learn how the community got its start. 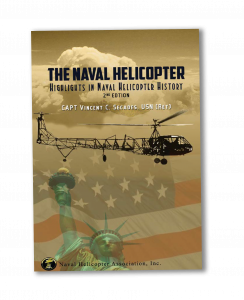 Click Here to view Naval Helicopter: Highlights of the Naval Helicopter History (left) by CAPT Vincent Secades, USN (Ret). Also check out the following listing of current and former Navy, Marine Corps and Coast Guard helicopter squadrons. Click on each insignia (below) to go to each squadron lineage list. Check out the USN Squadron Lineage List. Click insignia to view. 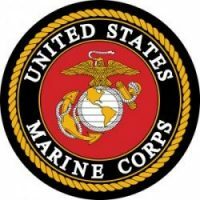 Check out the USMC Squadron Lineage List. Click insignia to view. Check out the USCG Air Stations Lineage List. Click insignia to view.